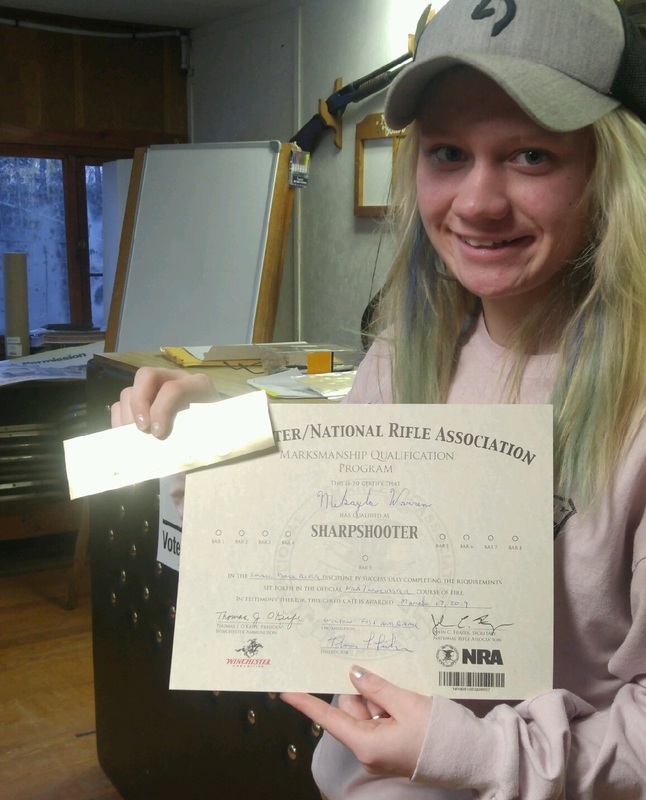 Mikayla Warren earned Sharpshooter Bars One through Four in the NRA Winchester Program. WILTON - Members of the Wilton Fish & Game Association recently congratulated members of the club’s youth shooting team on the conclusion of a successful first season under the direction of a new coach. Tom Fisher has taken over the direction of the youth team, which meets regularly at the club in Wilton to hone their shooting skills with small-bore rifles. Members of the team compete in a variety of matches against other teams in the state, including the Postals, a competition so-named because it involves mailing in results. The team finished in third place in the Postals. In individual honors, Emmet Logsdon earned Pro Marksman, Marksman, and Marksman First Class honors in the NRA Winchester program. Mikayla Warren earned Sharpshooter Bars One through Four in the NRA Winchester Program. 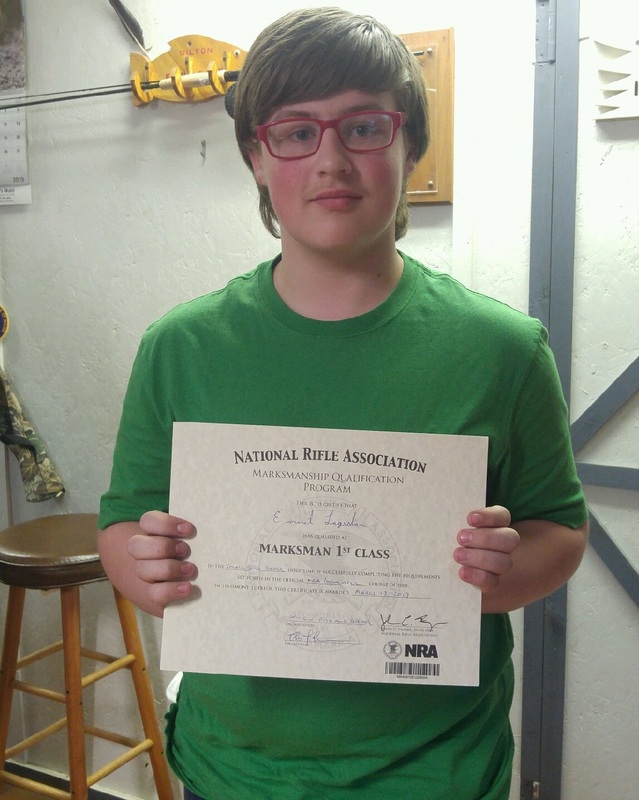 Malia Ranger earned Sharpshooter Bar Two in the NRA Winchester Program. Emily Hammond won first place Sub-Junior Girl honors in the Postals and first place Sub-Junior Girl in the NRA Sectional competition. For more information about youth shooting opportunities and the Wilton Fish & Game Association, check out the club’s page on Facebook, visit their website at wiltonfishandgame.com, or phone (207) 779-7721. Emmet Logsdon earned Pro Marksman, Marksman, and Marksman First Class honors in the NRA Winchester program. Congratulations. Very proud of both of you. I remember shooting up there with my Dad and my siblings. It was a big deal to go up there and shoot with Dad. Of course, this was 45-50 years ago. I am so glad to see the Fish & Game Association restored and active. Also, very glad to see girls shooting ~~"back in the day" there were not too may of us! Really glad my Dad taught me!